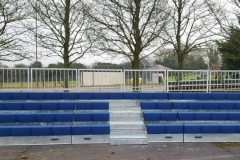 Our mobile tiered seating systems provide the ultimate flexibility for your venues’ space. 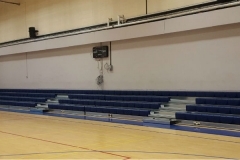 Effortless and easy to deploy, the platforms are easily manageable and have a small storage footprint.The moveable rollaway seating systems provide a comfortable viewing experience for the audience and offer an effective solution for smaller venues. Perfect for school halls, leisure centres, sports facilities, indoor pools, cafeterias and meeting rooms. This system can be adapted and weatherproofed for outside use. 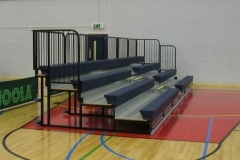 The Maxam 24 is a ‘Tip and Roll’ mobile, tiered seating unit that provides a simple to use, flexible seating system. Each section is rolled out from its storage position on integral castors and easily deployed for use in multiple locations. Maxam 24 meets all the necessary seating codes, with side and rear safety rails providing protection from falling. 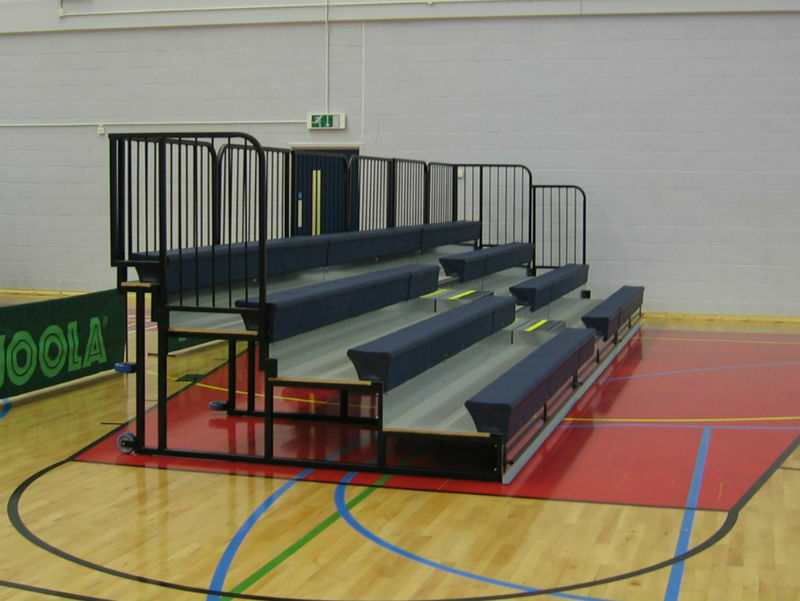 The courtside bench is the specified seat type which is available in a variety of standard colours. 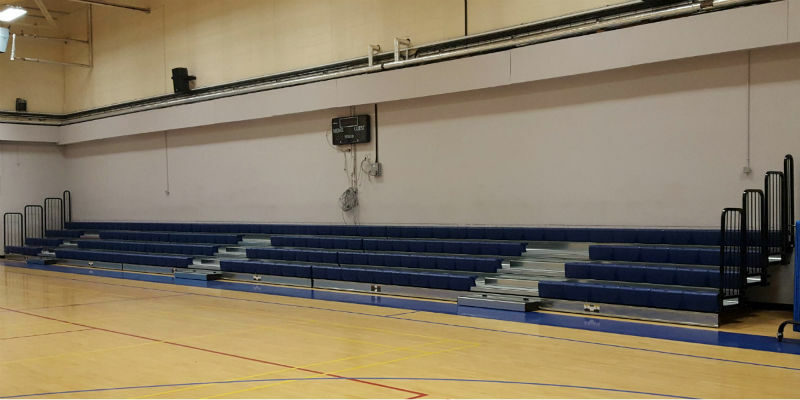 The Maxam 24 can be set alongside a larger installation of Maxam retractable seating or used as a stand-alone item in a variety of layouts.